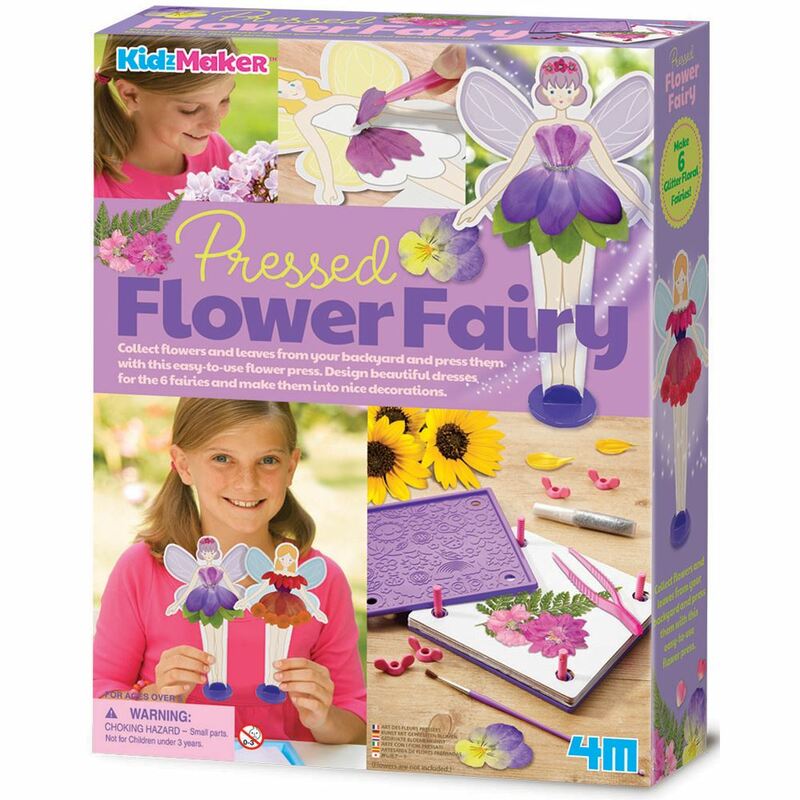 Collect flowers and leaves from your backyard and press them with this easy-to-use flower press from 4M. Design beautiful dresses for the 6 floral fairies, turning them into lovely decorations. Includes: 2 flower press plates, 4 plastic screws, 4 wing nuts, a pair of tweezers, 3 card stands, 6 fairy templates, 6 pieces of blotting paper, 6 pieces of cardboards, a paint brush, glue pack, glitter glue tube, and detailed instructions. Age 5+ years. Part of the KidzMaker range. Distributed in New Zealand by Holdson.